Singapore: As Maritime CEO celebrates passing the 400 interview mark, all week we are diving into our archives to see what leading shipowners have said about the markets in the past three months. 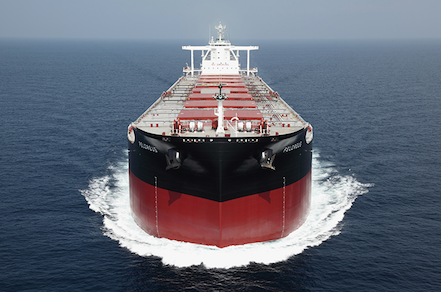 Today, we focus on dry bulk, a market set for a solid second half according to Jeffrey Landsberg, writing in our latest magazine, on the back of stronger Brazilian iron ore exports. Quite so, agreed Peter Twiss, Oldendorff Carriers’ president and ceo, when he spoke with us two weeks ago. Twiss said dry bulk rates in the coming 12 months will be “respectable”, especially with iron ore volumes remaining robust. “After the collapse in late 2008, we are currently experiencing the first signs of a slight recovery due to an intermediate slowing down in fleet growth,” Twiss said. Annual newbuilding deliveries peaked in 2011 and have since slowed down, he observed. “However, the current recovery may not be sustainable with deliveries expected to increase again in 2015 and 2016 due to the high number of new orders placed in 2013,” Twiss reckoned. Sadan Kaptanoglu, a board member at the eponymous family conglomerate, was of a similar opinion when we interviewed her three weeks ago. She noted that the demand side has just passed the supply side in dry bulk for the first time in six years so there is, she said, “a possibility of a small window of a better market until the new orders start to be delivered in 2016”. Always one to have a firm opinion on the markets, Khalid Hashim, managing director of Thailand’s Precious Shipping, said in late July that the dry bulk recovery would “start to show its teeth in Q4 of this year,” suggesting that it will then further strengthen during 2015 and into 2016. “Depending on how silly shipowners get during this recovery, they will do their best to ensure that the recovery is short lived by ordering lots of ships which will start to deluge the market in 2017 to 2018,” he warned. The bottom of the next cycle could be in 2019/2020, Hashim reckoned, when it would once again be time to look at buying younger assets to replace or rejuvenate an existing fleet. Shipowners’ ability to ruin their own markets was something Michael Bodouroglou, the boss of Greece’s Paragon Shipping, was keen to talk about when we interviewed him in mid-May.